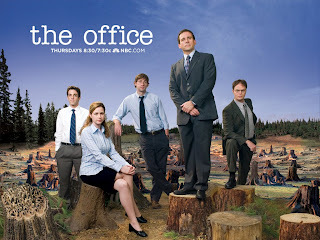 I spent last weekend blowing through three seasons of The Office while I got over a quick cold. It was fun and I'm now a big fan of the series! I'm on season 6 and just adore the characters. I find myself giggling as I try to fall asleep because of something Dwight did that is just so funny! And to top it off, the actors & actresses in the show also write & direct for it. I've watched two movies that were filmed in Las Vegas recently. I laughed so hard while watching The Hangover. I am glad I gave it a chance, it was so worth it! Even better, Ed Helms is in it! My Netflix account thought I should watch another Vegas movie. It suggested What Happens In Vegas, and I decided to check it out. Its a cute but silly movie. 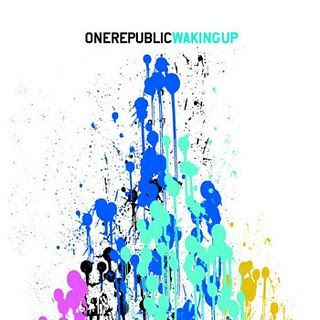 I've been listening to a lot of One Republic lately. I love the third song on Waking Up, Secrets. I think the cello is what makes it great. Check out their CD if you haven't! I'm really loving the free singles of the week from iTunes lately. I'm listening to Shark in the Water by V.V. Brown as I type this up. I like her energy and the beat. Lisa has got me hooked on and the Beach HouseVitamin String Quartet. hmmm..maybe I should rent the "hangover" too! Oh, dude! 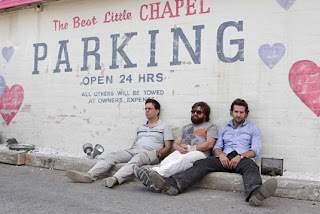 I love 'The Hangover'! :) It's rad!! It made me giggle so much! And the Office is pretty cool, too - I've seen bits and pieces of it over the years on tv, though, so I missed some vital storylines..lol. It's so funny! Everything Scrapp'n March Blog Hop!